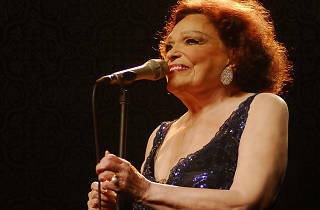 For the first time since her acclaimed New York performances Bibi in Concert and Bibi Sings Pia in 2013, the Grand Dame of Brazil's musical theater Bibi Ferreira returns to the States for her latest show, 4X BIBI. The 75-minute program, debuting at the renowned Symphony Space, celebrates Ferreira's storied, 75-year career, with tunes from the heavyweight repertoires of Amalia Rodrigues, Carlos Gardel, Edith Piaf and Frank Sinatra. The show is also a celebration of Sinatra's centenary. 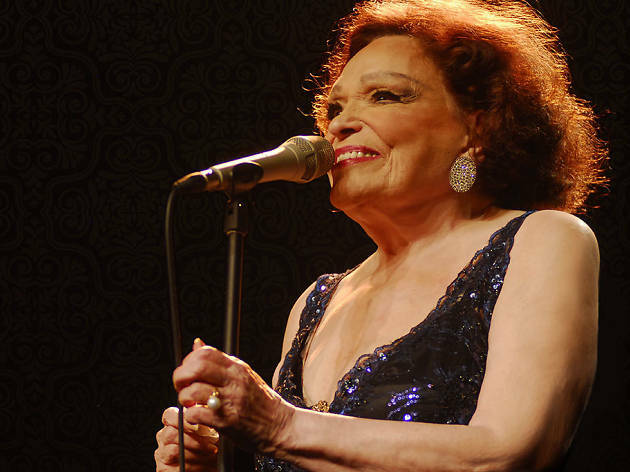 Throughout her life, Ferreira has performed, directed and produced some of the most important moments in 20th century Brazilian theater, being the first artist to introduce the country to classics like "Hello Dolly" and "My Fair Lady."